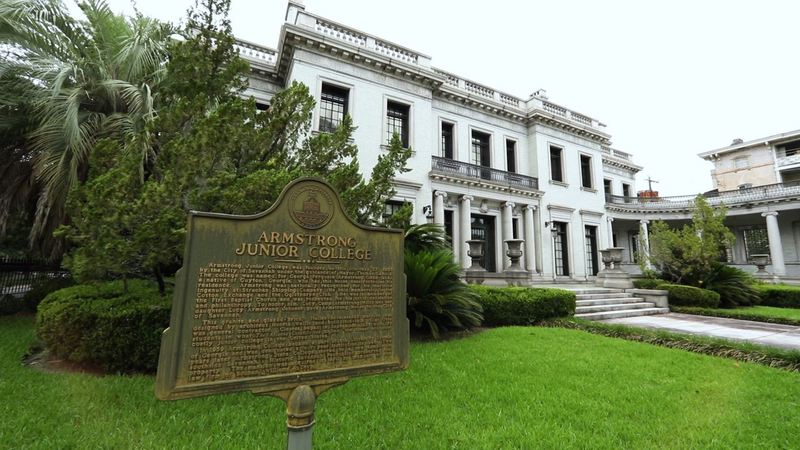 Built in 1919 by George Ferguson Armstrong and designed by world renowned Beaux Arts architect, Henrik Wallin, the original Armstrong Mansion is the only Italian Renaissance Revival home in Savannah listed in the authoritative A Field Guide to American Houses. 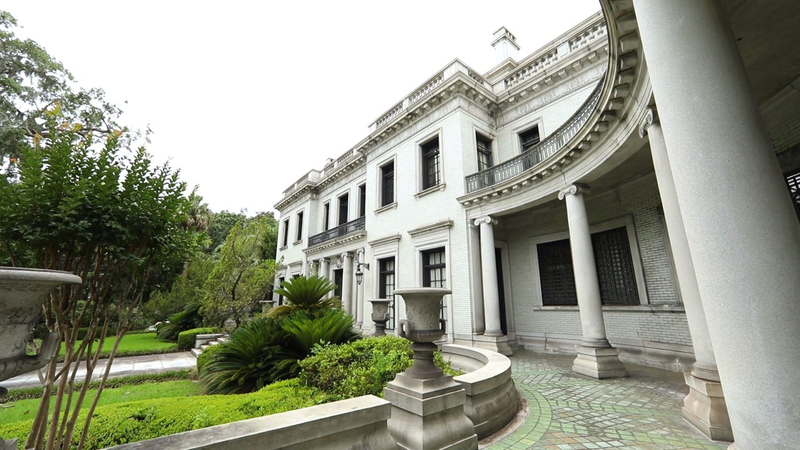 A registered National Landmark, the mansion has served many purposes. 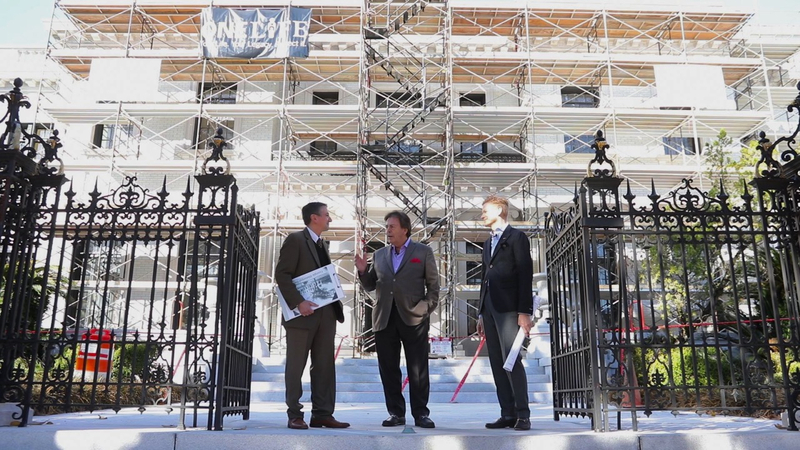 From a private residence, to the Armstrong Memorial Junior College and most recently home to a law firm, it is now coming full circle as a residence for prominent art patron, entrepreneur, and luxury hotelier Richard C. Kessler. The house is available for a limited number of exclusive, private events. 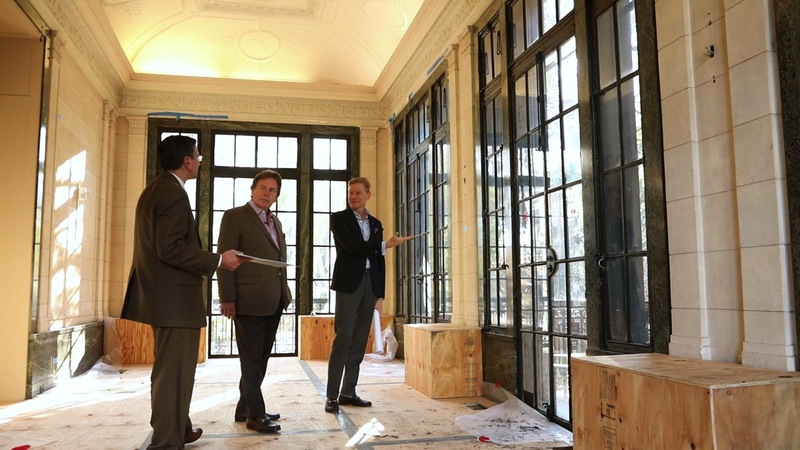 It is fitting that Richard Kessler is restoring the Italian-Renaissance style Armstrong-Kessler Mansion, for he himself is a contemporary Renaissance man. 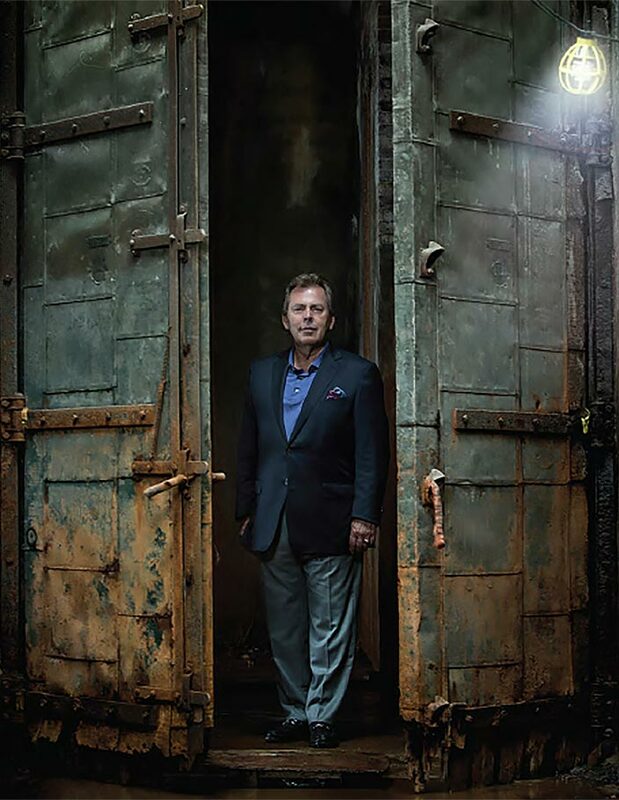 Having founded the Kessler Collection in 1995, and growing a portfolio of nine boutique hotels, he is also presently leading the dramatic reclamation of the original site of Savannah’s historic Riverside Power Plant, transforming it into the Plant Riverside District. This mixed-use luxury development will feature outdoor plazas and public spaces for arts and entertainment, and a quarter-mile extension of Savannah’s iconic riverfront. 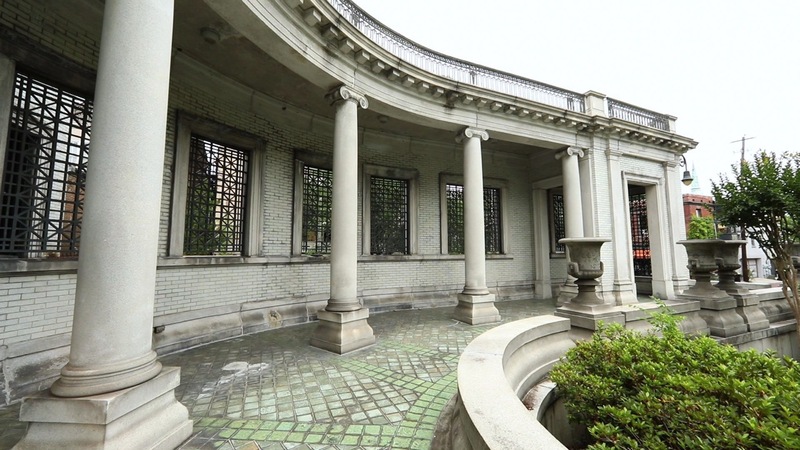 Kessler is a prominent patron of the arts, and the Armstrong-Kessler Mansion will exhibit his vast collections of paintings, sculptures, porcelain, furniture, and other fine objects. 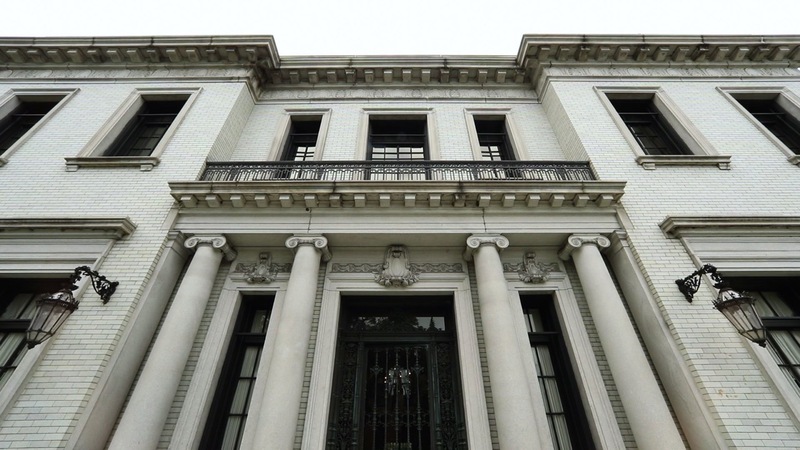 Visionary Richard C. Kessler assembled the best-in-class team to revive the Armstrong-Kessler Mansion as one of America’s great iconic historic homes. Crafted of solid iron with gilded foliage details, the iconic fence and grand gates were completed in 1918 and extend over 200 feet around the corner of Bull and Gaston Streets. The finials on top of each post are elaborately decorative; legend has it that the fence and gates were inspired by those at Buckingham Palace. Look again at the white brick, and you will see it appears to be marble. This is because the bricks are actually glazed with a fine crushed marble dust, an extremely rare technique resulting in added depth and a rich, luminous expression. Classical columns, entablatures, window casings, balustrades, cornices and urns are all constructed of massive pieces of solid granite. Look closely at the details and you will see exquisitely executed carvings on urns and intricate motifs in the frieze. 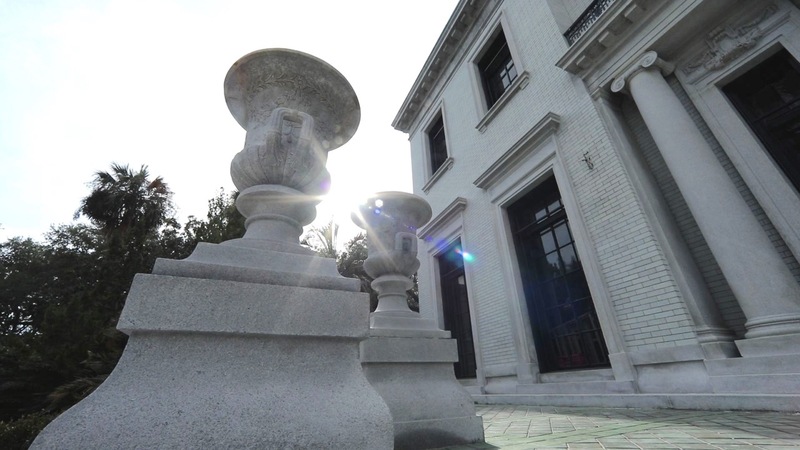 Outstanding features of the mansion are its grand front and rear entry doors, cast of solid bronze with elaborate decorative Beaux Arts details. The doors earned an award from the Architectural League of New York in 1919. 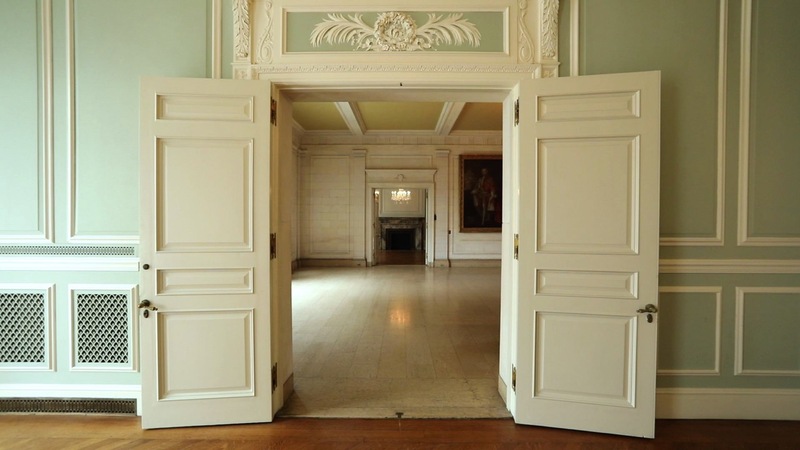 The original cost for these doors updated to today’s costs would be nearly half a million dollars. Highly innovative at the time for residential architecture, the steel framed and mullioned windows feature solid bronze hardware. Constructed by the International Casement Company, founded in 1912 in New York, the mansion’s windows were prominently featured in the company’s catalog of 1920. The company would later became Hope’s Windows, which continues to be one of the world’s leading steel window companies today. Henrik Wallin created original designs for a Neo-Roman garden in the rear of the mansion, akin to the sixteenth-century Tivoli Gardens at the Villa d’Este outside of Rome. 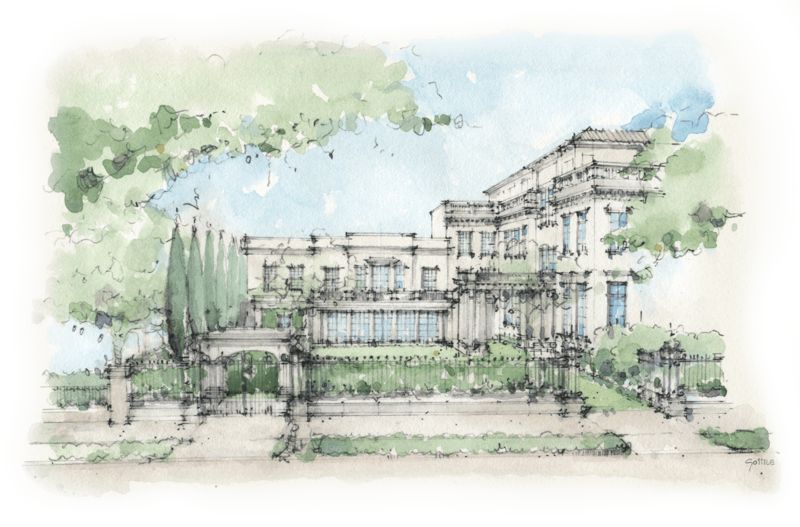 The firm of Wertimer & Cline Landscape Designs is currently designing and creating new Italianate gardens to bring George Armstrong’s and Wallin’s vision to life, full circle a century later. 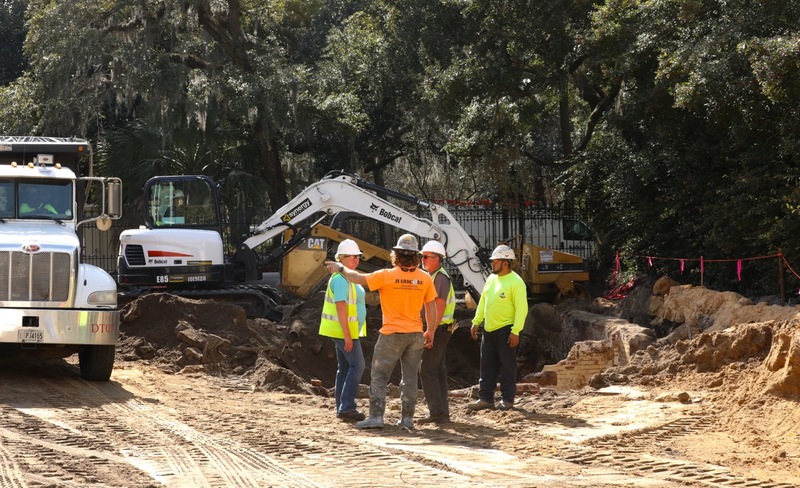 The gardens will feature a 55-foot long pool, a grand antique Italian bronze fountain, numerous sculptures set within a backdrop of a row of Italian cypresses, a large event lawn, and lush plantings. A two-story carriage house newly crafted with glazed brick and granite will feature a full glass sunroom and Limonaia. 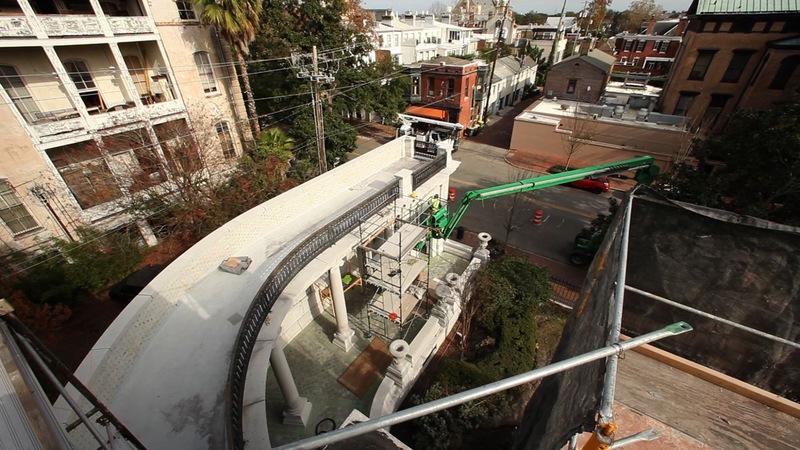 The structure will serve as both a stable for automobiles and a series of additional entertainment spaces. 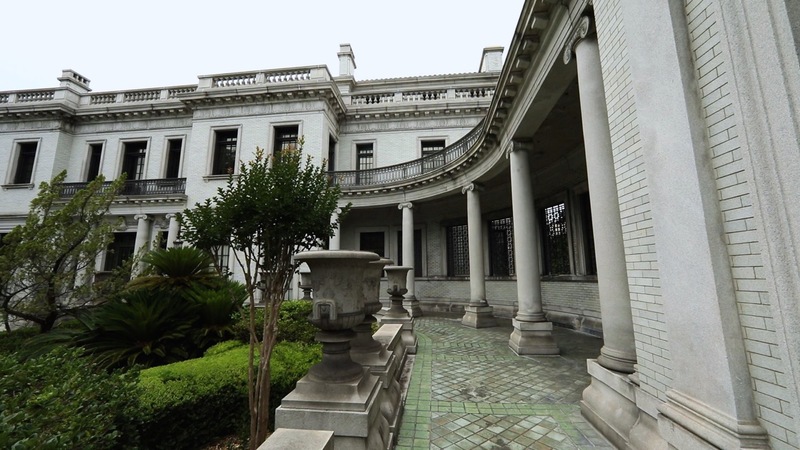 The gracious curved portico extending to the right from the front of the mansion is called a Hemicycle. It is inspired by the wings on either side of Italian Villas designed by Andrea Palladio. The purpose of the Hemicycle is to create a welcoming embrace and capture views of Forsyth Park on both the lower and upper terraces. The Main Hall is designed to create a theatrical procession from the bronze front doors to the rear porte-cochere facing the gardens. Guests were originally greeted at the main entrance and treated to views of the hall, its grand stair and refined Italian Limestone stonework then moved through the space toward the gardens. This processional flow will be used similarly today. The Grand Cantilevered staircase with solid marble steps is nothing less than a triumph of engineering and art. 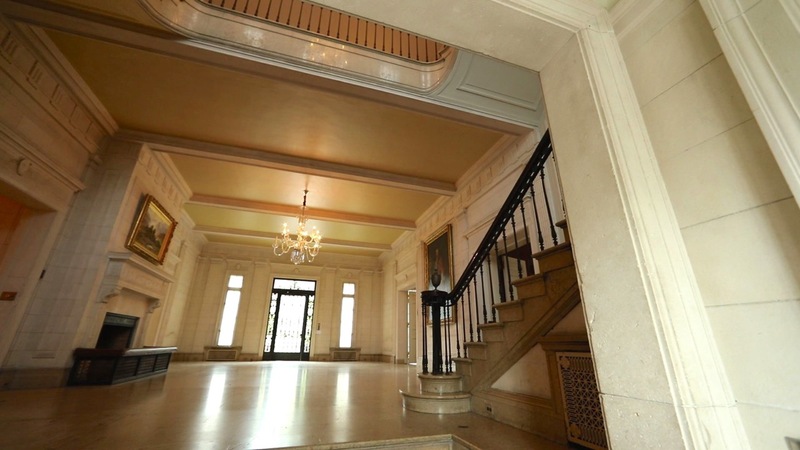 In 1919, and during the mansion’s use as a college, the staircase landing facing the entryway served as a stage to address and entertain guests. In 2019 and going forward, it will serve this original purpose. Romanesque plasterwork details on the ceilings, above the mantles, and across interior entablatures throughout the house are replete with ornamentation. Some are inspired by the work of the Roman artist Giovanni Da Udine, who was the lead sculptor on Raphael’s team for the Vatican, Villa Madama, and others. 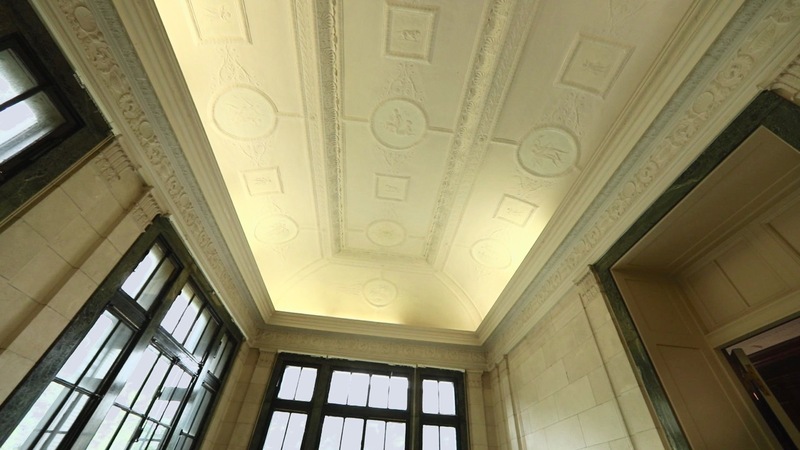 Neo-classical plasterwork is featured in major public rooms and bedrooms, inspired by the works of the legendary Adams Brothers, Robert and James, who practiced in late eighteenth century England and Scotland. 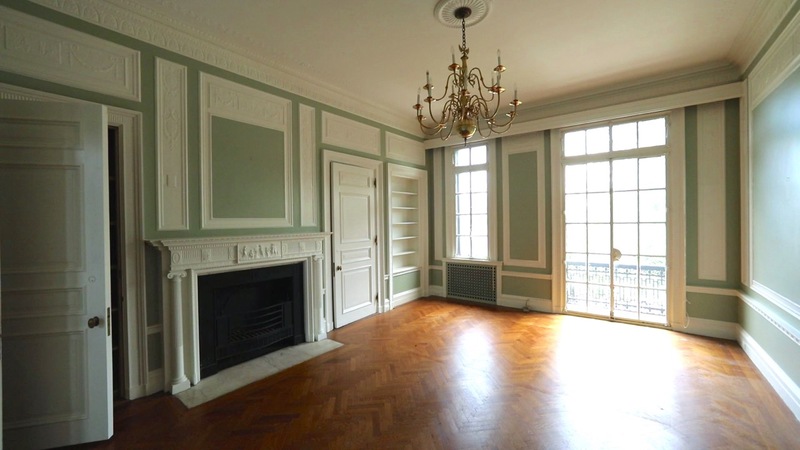 Renowned Savannah artisan Thomas Forshaw is responsible for executing much of the dramatic ceiling plasterwork. The grand library and private study are fully paneled in finely carved Italian walnut and oak and feature coffered ceilings and elaborate carvings and trim profiles. 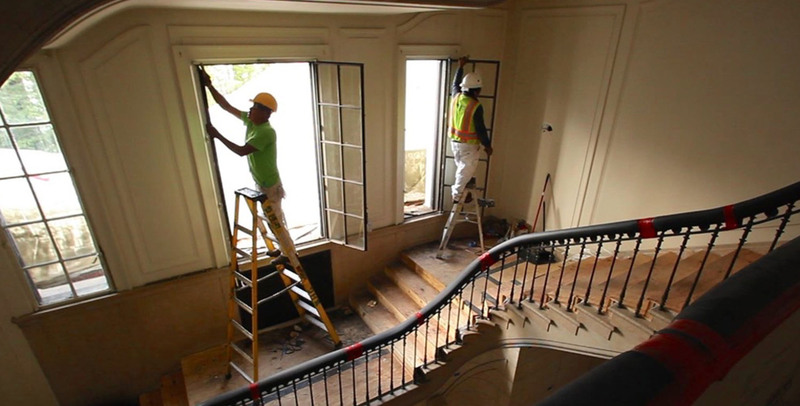 Door handles and hinges throughout the mansion are cast of solid bronze, fabricated by the P.E. 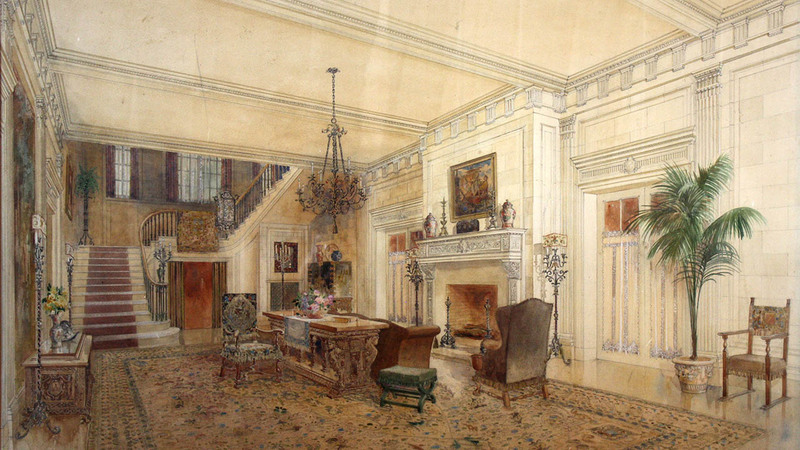 Guerin company in New York, with motifs that echo those found on the plasterwork and other details in their adjacent rooms. Some are plated in silver, others in brass. Mantle pieces and floors throughout the home exhibit remarkable diversity of design and are crafted out of sumptuous marbles and Italian limestone. Mantle pieces are each designed to pair with their rooms, in some cases featuring signed Wedgewood inspired insets. © 2018 Armstrong-Kessler Mansion. All Rights Reserved. 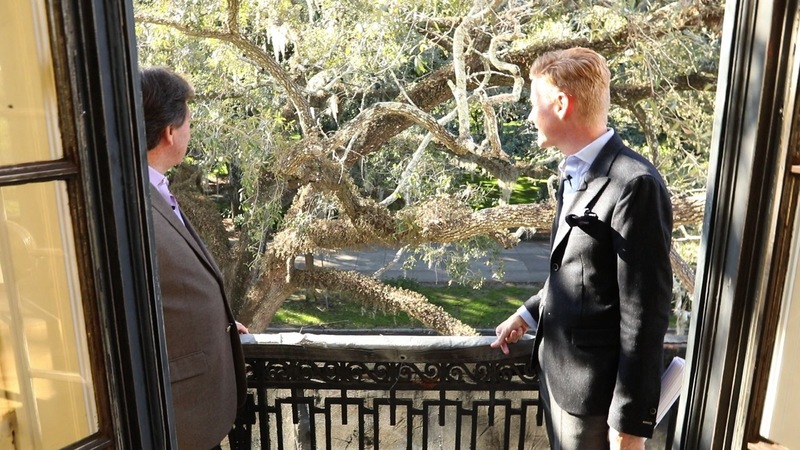 Christian Sottile is principal of Sottile & Sottile, a Savannah-based firm working extensively in Nationally Registered Historic Districts. His work includes civic design and master planning, emphasizing historic research, urban analysis and community-wide engagement. 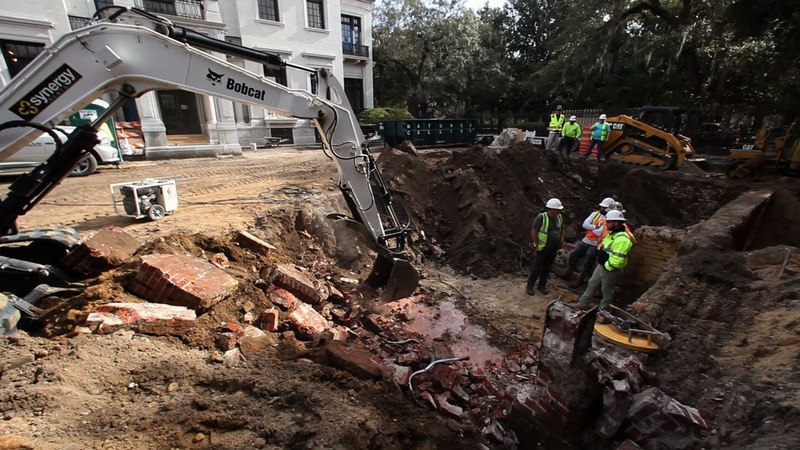 Concurrently with his professional practice, Sottile is a professor of Architecture and Urban Design at the Savannah College of Art and Design and is the former dean of the School of Building Arts. Sottile's work has been featured in the New York Times, Preservation Magazine, Architect magazine, and Architectural Digest. 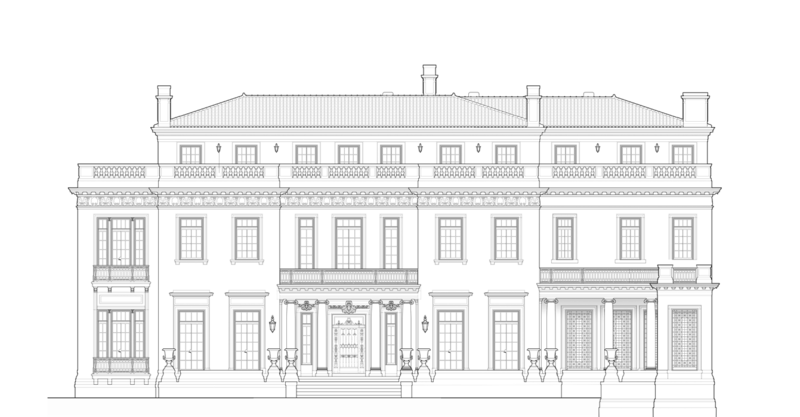 He has received over fifty awards for his work, including three international Charter Awards from the Congress for the New Urbanism, awards from the American Planning Association, the National Trust for Historic Preservation, and three National Honor Awards from the American Institute of Architects. 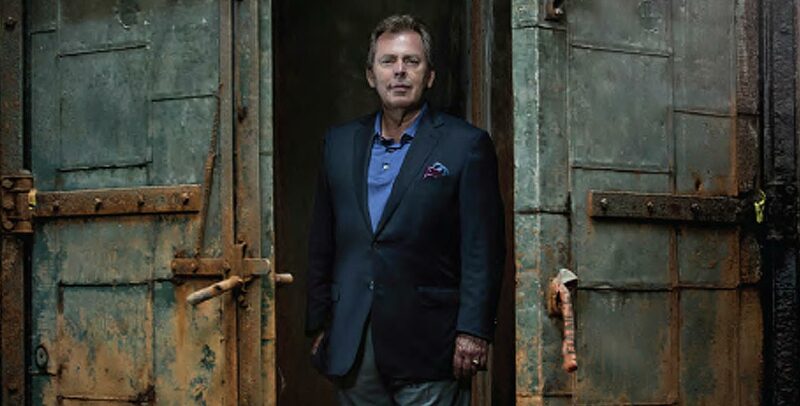 Founder of Charles H Chewning Interiors, Chuck Chewning’s award-winning international interior design work includes the much-celebrated restoration of the historic Gritti Palace and the Palazzo Berlendis in Venice, Italy, royal residences in Great Britain, and many other luxury hotels. Chewning served as Creative Director for the American lifestyle brand, Donghia, and Design Director of Studio Rubelli. 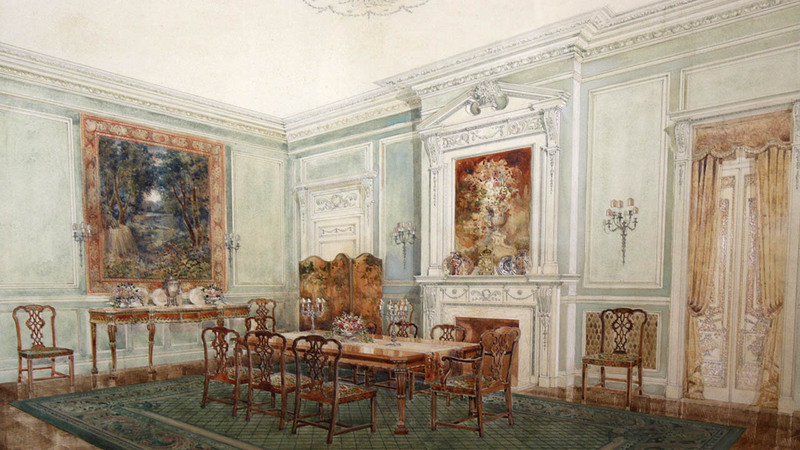 An honorary scholarship was set up in his name at his alma mater, The Savannah College of Art and Design, inviting notable industry leaders to teach the history of 20th century interior design at SCAD. His work has been prominently featured in Architectural Digest and countless other design publications, including Blue Cameron’s 2014 book, Conversations: Up Close and Personal with Icons of Fashion, Interior Design, and Art. Sheila Wertimer has developed a comprehensive range of work and expertise during 30 years of practice in Charleston, South Carolina as a landscape architect. She spent her first five years at the City’s Parks Department, and in 1985 founded Wertimer and Associates. As a small firm working closely with architects and clients, Wertimer and Cline creates landscapes that define the particular natural and cultural qualities of place. Their professional approach emphasizes simplicity of design overlaid with a richness and complexity of detail. They also foster sensitivity to site and environment, which is reflected in thoughtful planting design. Wertimer and Cline has designed hundreds of residential projects ranging from the small urban garden to the grand plantation, as well as many public works of varying scales and applications. They continue design for landscapes in both realms. 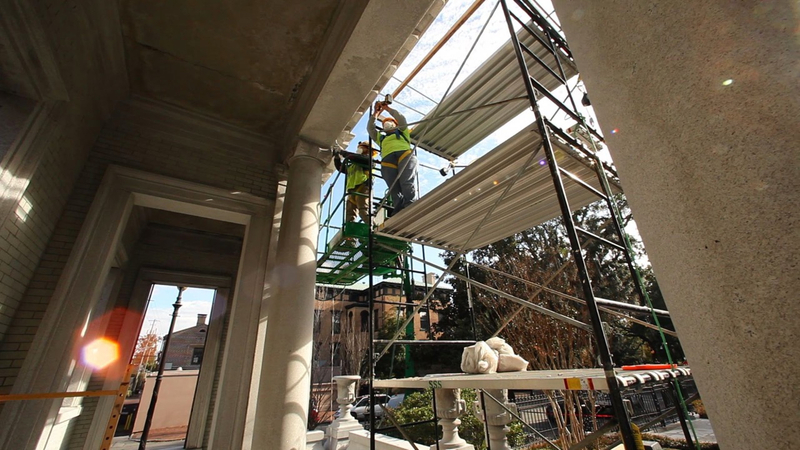 Georgia has been home to Choate for over 20 years, and Savannah specifically offering a unique opportunity to be a local builder with a top Southeast contractor’s support. The combination of a local presence with access to vast resources is a powerful one; one that has proven to succeed time after time. 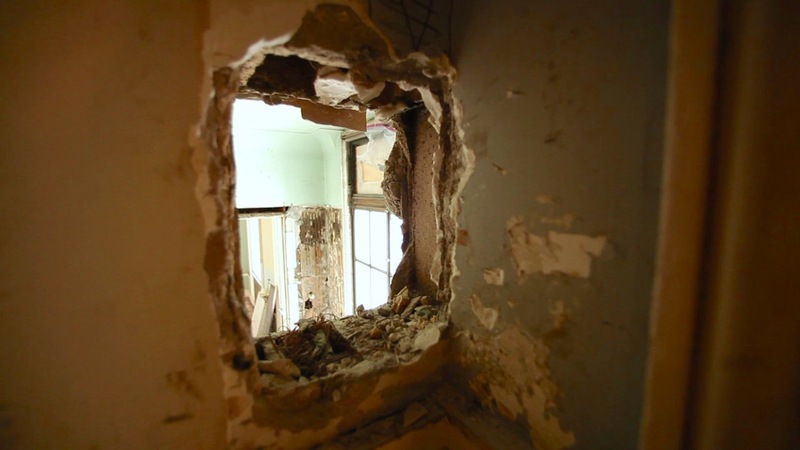 Choate Interior Construction Company specializes in all types of tenant improvement, renovation, and build-outs; this autonomous group has its own staff completely versed in the nuances of tenant improvement. Ranked nationally as one of the top interior construction firms, Choate Interior Construction has grown to become the largest interior contractor in Georgia, with a strong and growing presence throughout the Carolinas. 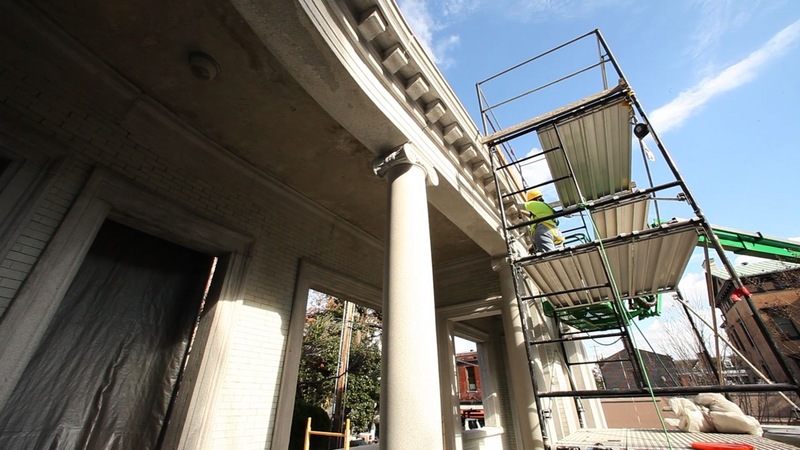 Their expert teams of master masons, and iron and plaster restorers on the interiors as well as exteriors have brought the Armstong-Kessler Mansion back to its originally gleaming condition.